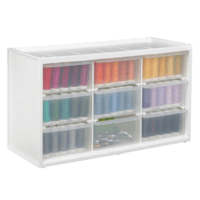 Bobbin tray holds 30 bobbins in place. 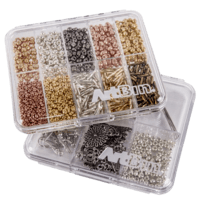 Magnetic pin and needle strip. 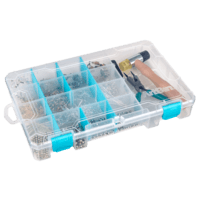 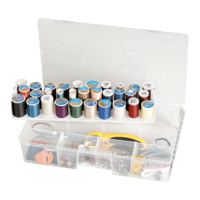 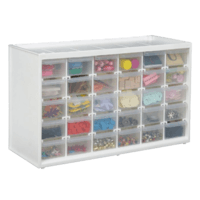 This compact container easily organizes up to 30 sewing bobbins and a number of other supplies. 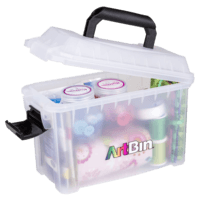 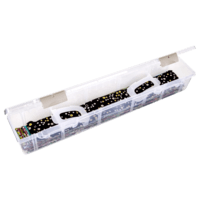 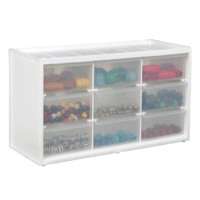 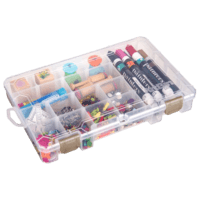 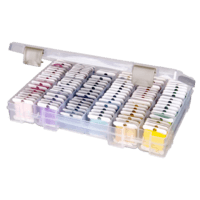 The bobbin tray features a handy magnetic strip for holding pins and needles. 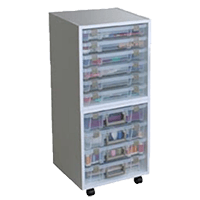 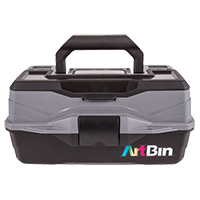 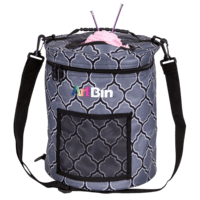 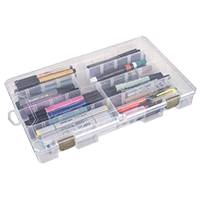 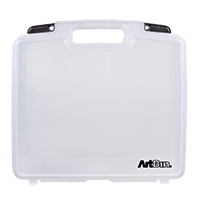 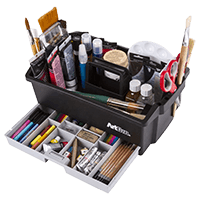 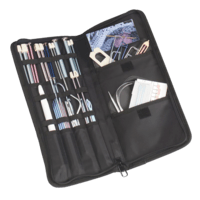 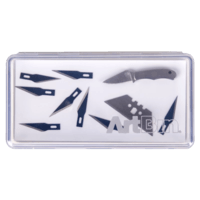 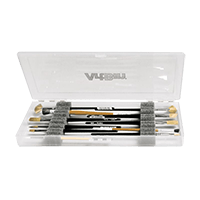 The 4 compartments with removable dividers keep your supplies securely in place.